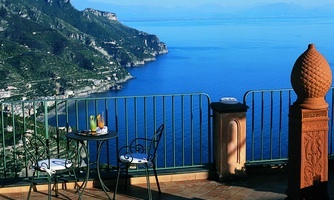 The beautiful Amalfi Coast is one of the most magnificent areas of coastline in Italy. The views out over the sea are simply breath taking. Four days in this beautiful part of the world is the ideal place for a romantic holiday, eating on a balcony with breathtaking views out over the Tirrenian Sea. The craggy Island of Capri has always been a mecca for the rich and famous. The twisting road squeezed between the rocks reveals tantalising glimpses of small villages, secluded bays, and inlets, all looking out over a clear blue sea in stark contrast to the lush green Mediterranean flora. A journey which leads the traveller not only to towns of world wide fame such as Positano where the houses are steeped up the hillside straight up from the sea, Amalfi, and the elegant Ravello with its dominating position on the hill top offers the tourist a magnificent, dizzying seascape view over the whole of the Coast., but also to lesser known, yet exquisitely beautiful, places such as Minori, Conca dei Marini, and Praiano. Hire a car with us before you go and drive around the hair pin turns on the edge of the cliffs but don’t forget to stop and just breathe in the beautiful sea air on the many lookouts that hang out over the cliff. Ask us which are the best islands to visit. Between all these little villages the most relaxing way to travel is by boat. 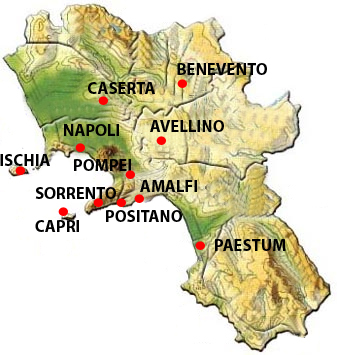 We can book you your own private boat with a guide and there are numerous boat services at reasonable prices, to ferry you to the islands of Capri, Ischia e Procida and many small secret beaches where you can hide away. 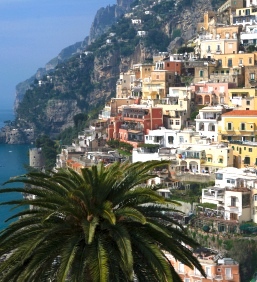 Sign up as a client and receive our Amalfi Coast Travel Guide, a list of all the best restaurants to visit as well as the places to see Lemoncello made, ceramic artisans at work and walks along the cliffs.